Many people have heard about Locks of Love, the nonprofit organization that provides hairpieces to children who have long-term medical hair loss. There is also a program that provides free real hair wigs to women who experience hair loss during their fight with cancer. 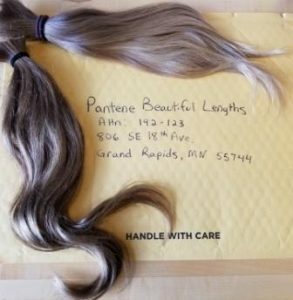 Since the inception of this program (“Pantene’s Beautiful Lengths”) in July of 2006, more than 800,000 ponytails have been donated to make 42,000 wigs. It takes eight to twelve donated ponytails to create a full wig. 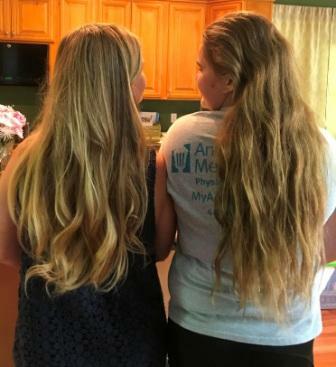 This past Memorial Day, Center Research Specialist Kris Wade and her daughter Alexis, donated their hair (for the third time). Alexis hadn’t had short hair for eight years, and was nervous about it. 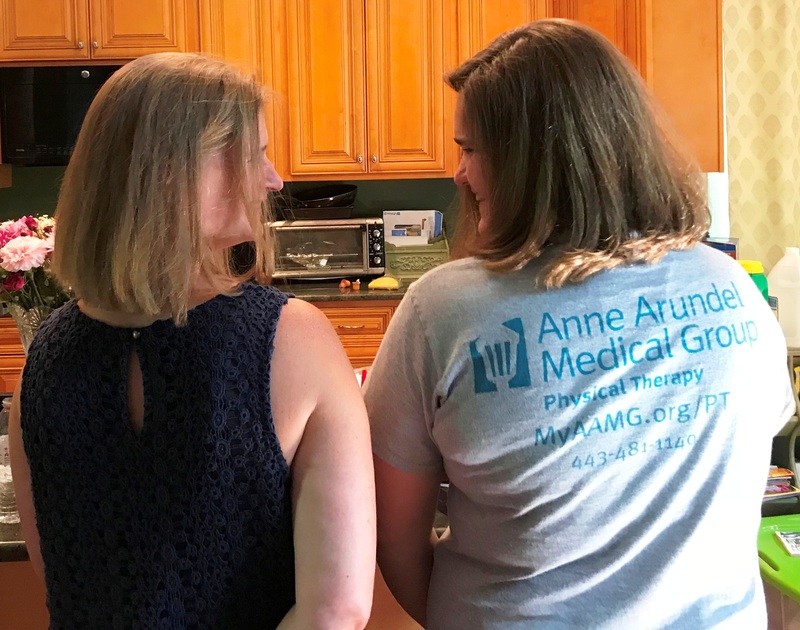 Together, they donated a combined total of 29 inches! To learn more about these two programs visit Locks of Love at http://www.locksoflove.org/ and Pantene’s Beautiful Lengths program https://pantene.com/en-us/experience-main-section2/beautiful-lengths.